Now, let’s think about what he’s saying. (We’ll ignore that the senator seems unaware that the California Highway Patrol is funded not by the general fund but by transportation special funds.) Sen. Lieu is telling us that welfare and higher education and police are higher priorities to him than schools are. Yes, he says he wants to protect the schools and his own kids from further cuts. But he is also saying that he will cut $5.3 billion out of the schools before he will touch other things, either the ones he mentions or the ones he doesn’t: prison guard pay, prisons, support for local government, tax credits for Hollywood, health care programs, parks, and so on. To even suggest that there are alternatives to cutting the schools is, he tells us, not “real.” They are unthinkable. Not so further school cuts. If voters pick the chopping block over Prop 30, the senator and his legislative colleagues want the schools to be first in line for a decapitation. Lieu is not alone. For more than 30 years California leaders and voters have said that schools are their highest priority. Then they have turned around and have done just the opposite. 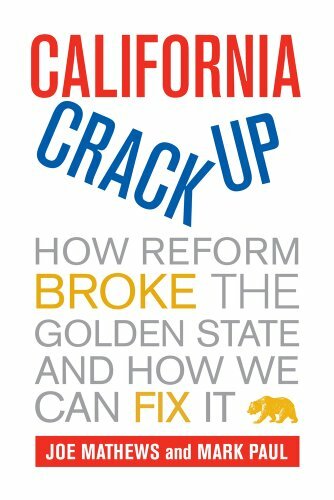 Thirty years ago California’s per-pupil spending was higher than the national average; now it is more than $2000 below. The percentage of personal income that California spends on schools is near the bottom of the states; the gap between California’s effort in financing schools and the national average is wider than it has been at any time in the last 40 years. The state is spending $18 billion less on the schools than it would be spending if it were still at the national average. Where has that money gone? Much of it is in the bank accounts and pensions of police, firefighters, and prison guards. As I have explained here before, California has shifted about $10-$11 billion a year from other public services to badges and bugles. This extra spending does not buy more safety. It consists almost entirely of higher compensation for correctional officers, police, and firefighters, whose pay and pensions dwarf the levels elsewhere. Other dollars have gone to things that voters and leaders have prioritized ahead of schools: Sen. Steinberg’s mental health initiative, stem cell research, children’s hospital construction, infrastructure bonds, tax cuts. That is why Molly Munger has inspired such fury in the state’s political and media elites. She is exposing their hypocrisy, and ours. Instead of just talking about loving the schools and then putting most of the dollars elsewhere, as Prop 30 does, she is actually proposing with Prop 38 to raise taxes on a large chunk of Californians and to invest most of $10 billion a year for 12 years into the schools in a way that will be hard for the teachers unions to put into their members’ pockets. Whatever you think about the merits of the two measures, you have to give her credit. When Molly Munger calls the governor and his Prop 30 supporters impostors posing as friends of schools, she may be impolite, but she is right.